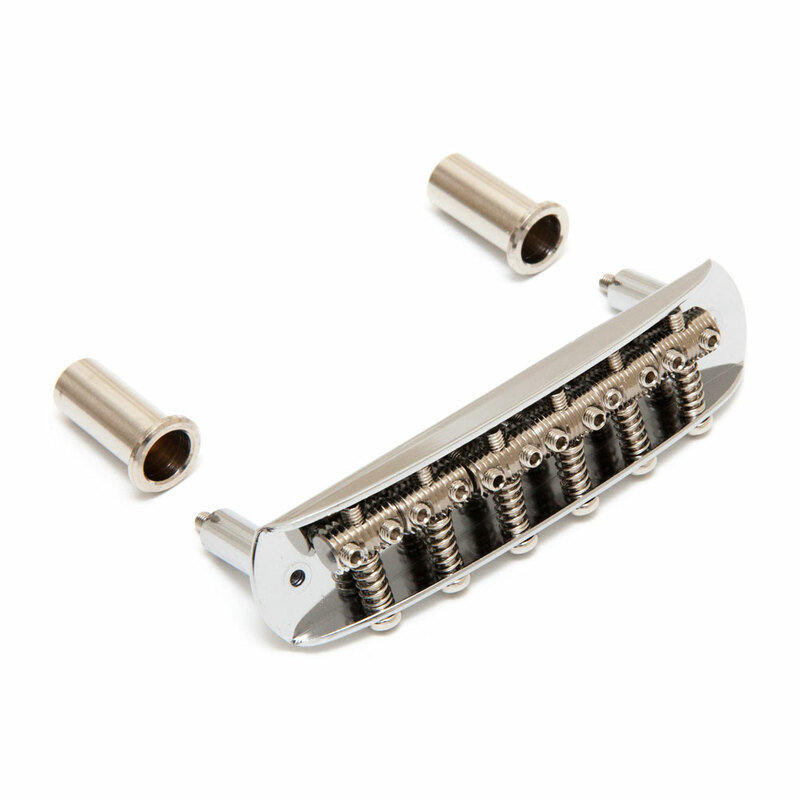 The Hosco Jaguar/Jazzmaster Style Bridge has vintage style threaded saddles that allow for minor string spacing adjustments and the saddles are individually intonatable and height adjustable. The bridge is height adjustable using the allen/hex head screws inside the bridge posts (adjusted through the hole in the top of the bridge plate) these screws sit on the body anchor 'thimbles' allowing the bridge to rock with the tremolo motion so it accurately returns to pitch. We also stock the Jaguar/Jazzmaster tremolo unit as a separate item.